I think it's common knowledge how it's done, But I know that it's pretty intimidating taking a Dremel to a brand new pristine visor without seeing it done by someone else. Also I wanted to officially thank Blue Realm for pioneering this technique. I had thought about doing it, but didn't have the guts to try until I saw how great his looked. 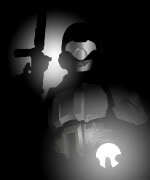 Hope you don't mind Blue Realm, it's in your honor, and you deserve the credit! 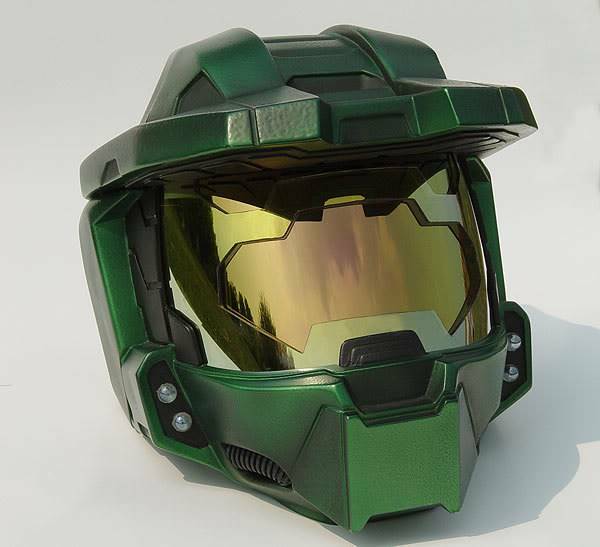 I then printed the template out at full size, and taped it to the inside of my visor. 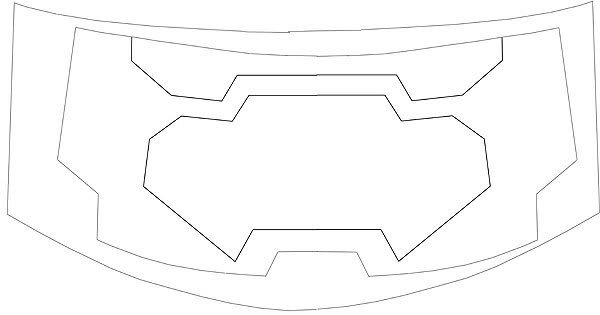 Then I very carefully traced this pattern onto the face of the visor using a oil pencil. 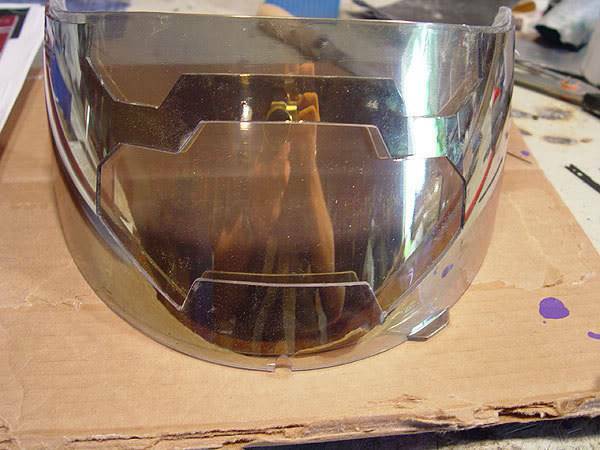 With the pattern transferred to the visor, I used a Dremel rotary tool with a REINFORCED CUTTING WHEEL to very very carefully cut the patten out. Don't use those awful standard cutting wheels to do this, they will snap apart and fly all over the place! Be very patient and try cutting just a little at a time carefully avoiding any skipping or scratching of the surface, and also be very careful to not overcut at the corners. After I had cut all the lines there was still a little bit of plastic holding the pieces in place. I used a fine scroll saw blade to hand-cut these last little attachments. 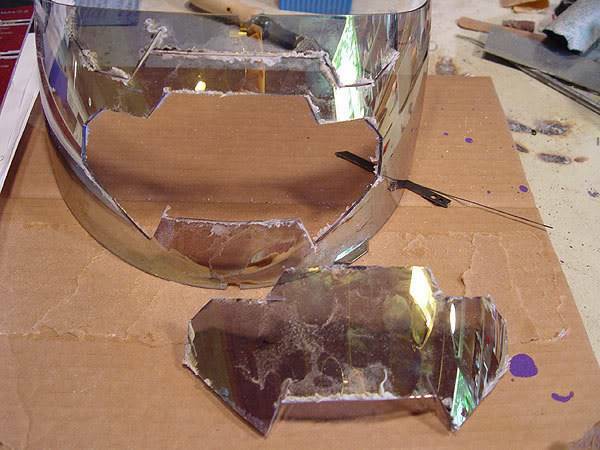 After seperating the cut out areas of the design, I carefully trimmed off the flashing around the cuts, and used 120 grit sandpaper and a fine file to clean up the edges. 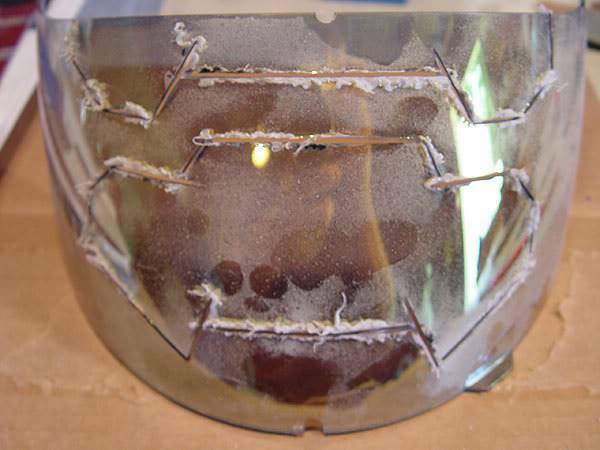 Be VERY careful when wiping dust off of the visor, because this abrasive dust will scratch off the mirrored finish. 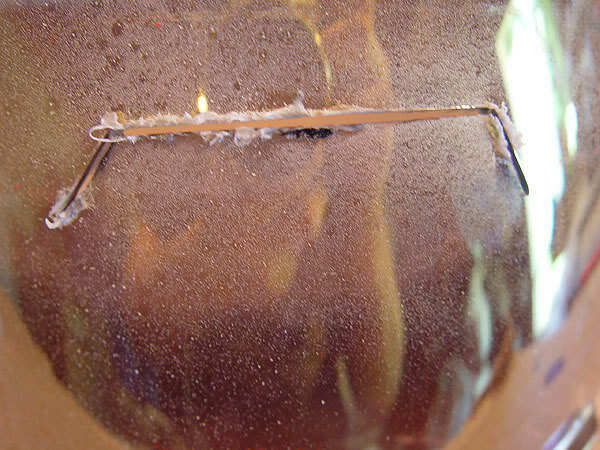 Use compressed air, or wash it off under a faucet. 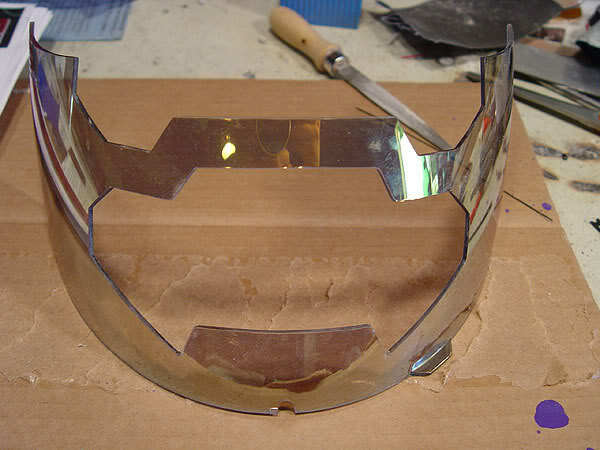 Then just place this cut out visor overtop of the uncut one. 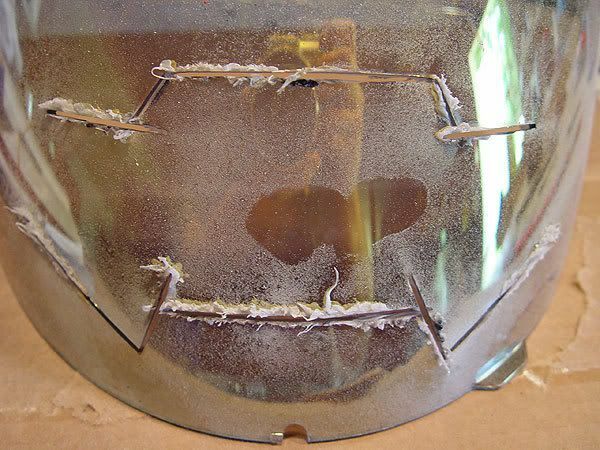 You may want to neatly tape the two together at the edges before you install it in your helmet.